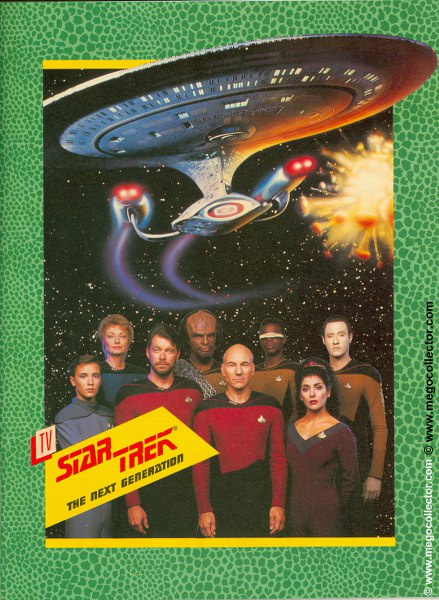 In 1988, Galoob Toys initiated an aggressive toy campaign for the Star Trek: The Next Generation toy line. 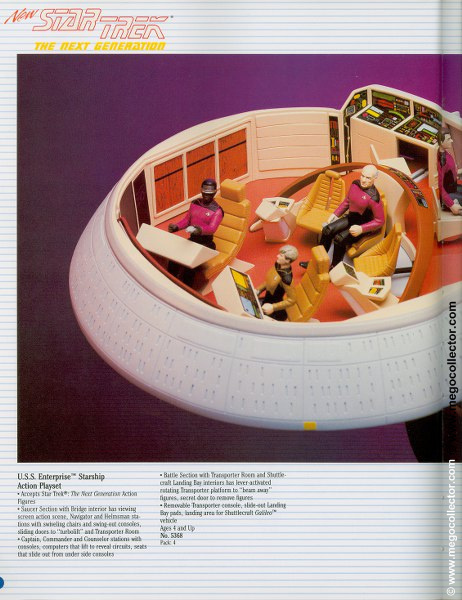 Early dealer catalogs and Star Trek collectors magazines depict the Star Trek universe as one of much exploration. 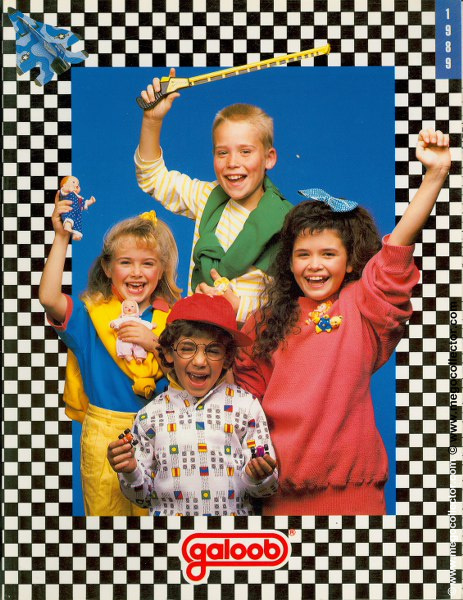 However, in reality, the toy line suffered by 1989 and much of what was to be produced never made to the shelves of the retailers. 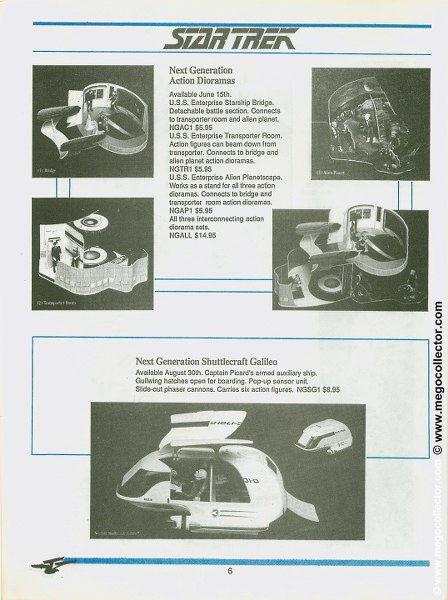 Here are some images of what could have been. 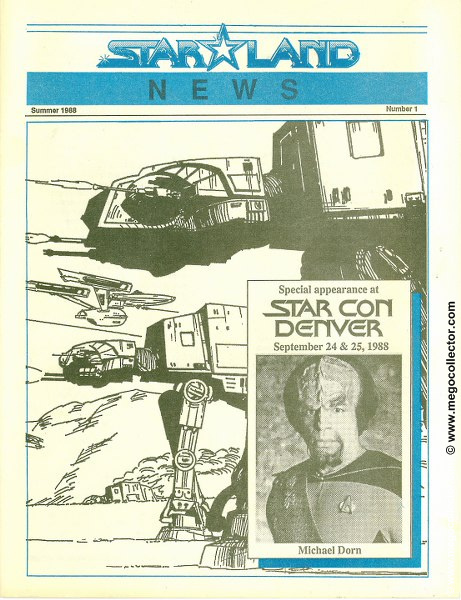 This magazine is the catalyst for this article. 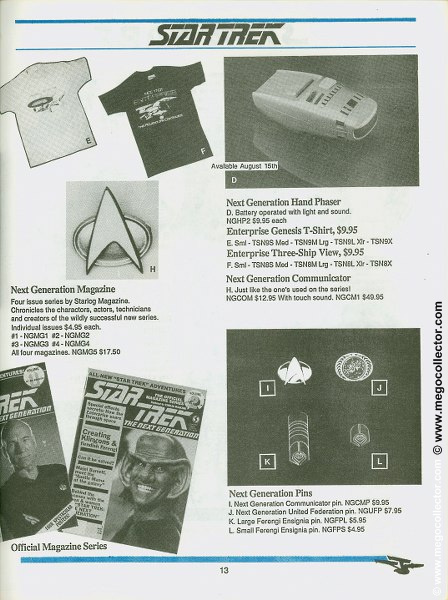 I suspect that it was printed in late April or early May 1988. 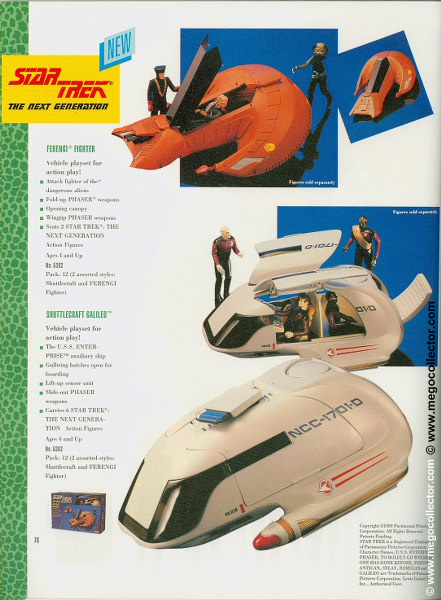 This 22 page edition is jam packed full of Star Trek collectibles and toys. 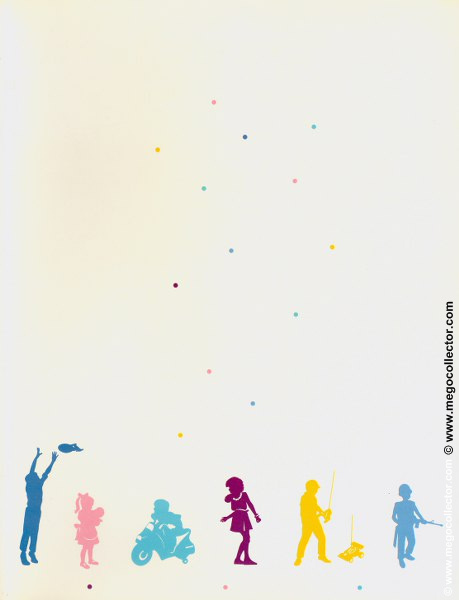 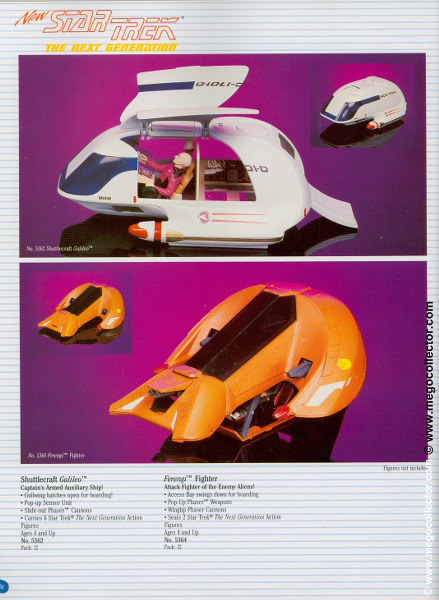 These four pages scattered throughout the magazine contain offerings for rare and unproduced toys. 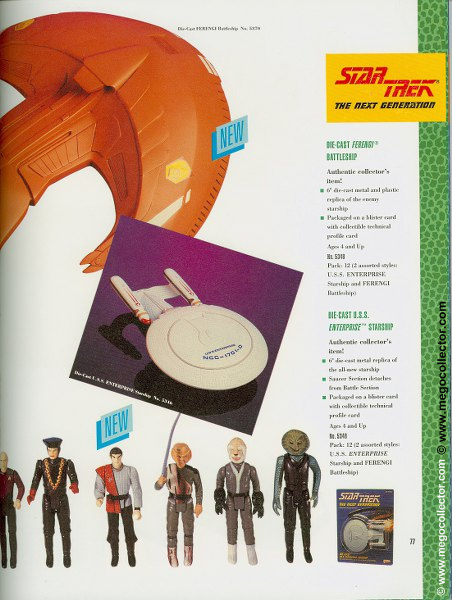 Although some of the pictures are inferior to those taken from what appears to be the original source, Lewis Galoob Toys, Inc. 1988 Dealer Catalog, this magazine is special as retail prices are assigned along with date of availability. 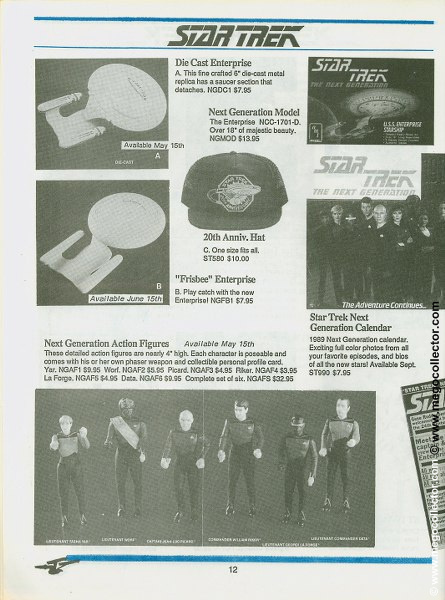 While many of the photos used to advertise the new Galoob Star Trek: The Next Generation toy lines, there are several important differences between this Summer 1988 Starland News, Number 1, and the Lewis Galoob Toys, Inc. 1988 Dealer Catalog. 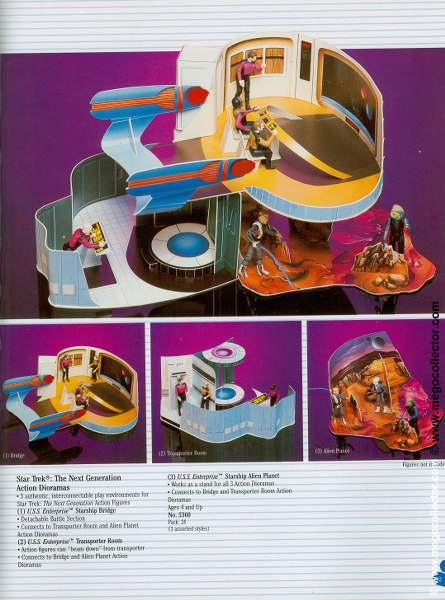 Most notably is a comparison of the 4″ crew action figures. 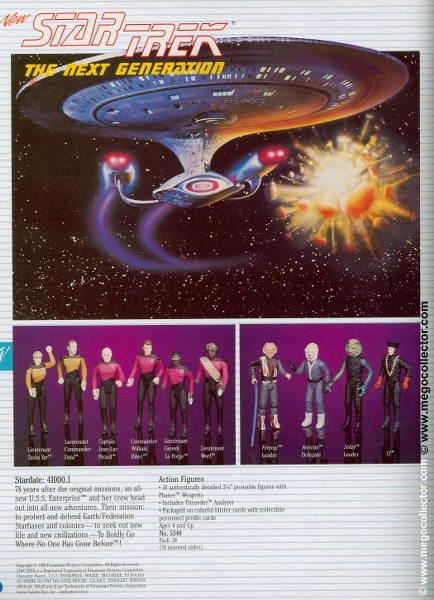 Not only has the order between Data and Worf changed, so did the positioning of each of the figures. 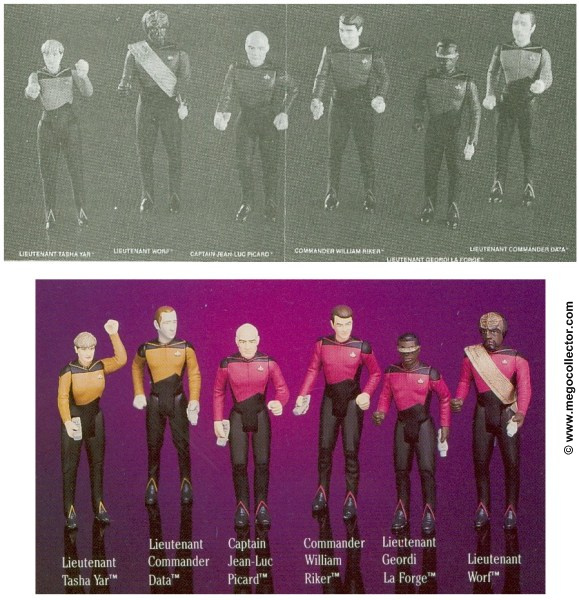 It even appears that the head sculpt of Data and the body sculpt of Yar may have changed. 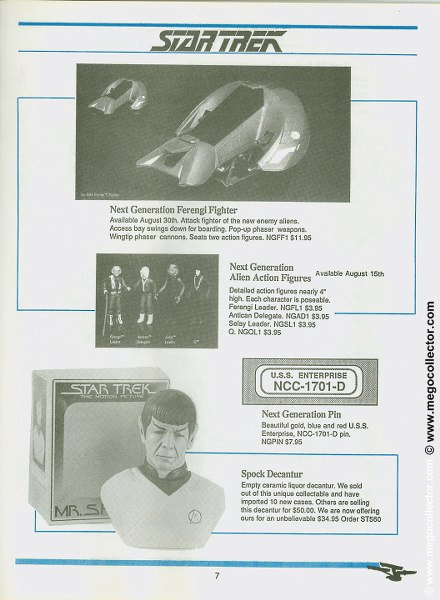 Other differences are the positioning of the the Die Cast U.S.S. 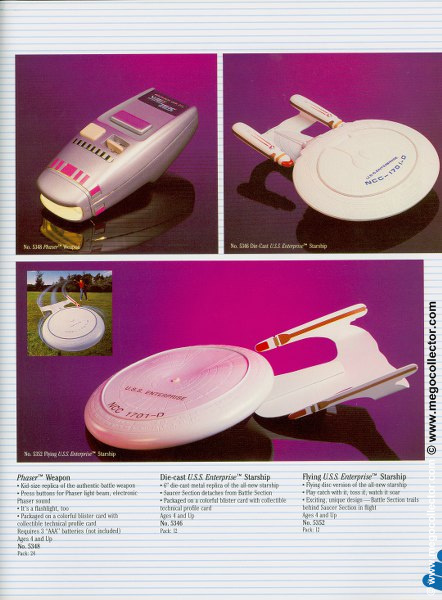 Enterprise Starship in positioning and unique photos of the Flying U.S.S Enterprise Starship “Flying Disc” version. 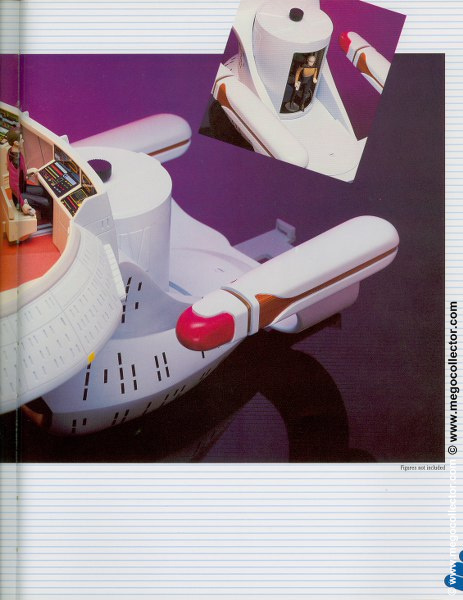 The Flying U.S.S. 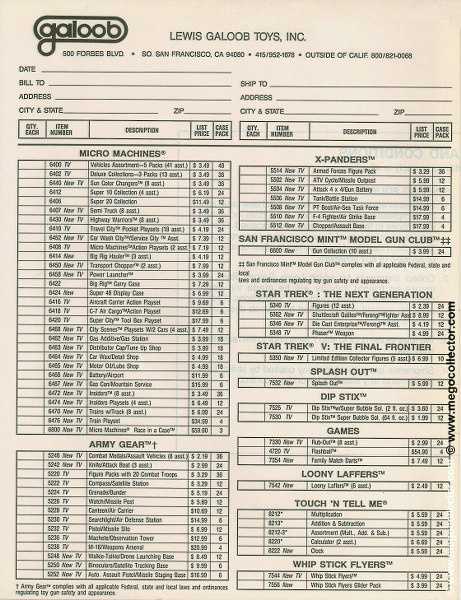 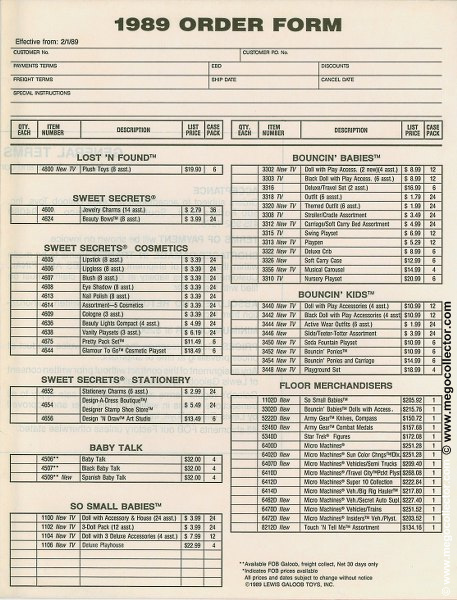 Enterprise Starship is more pronounced in the Summer 1988, Starland News, Number 1 than in the dealer catalog. 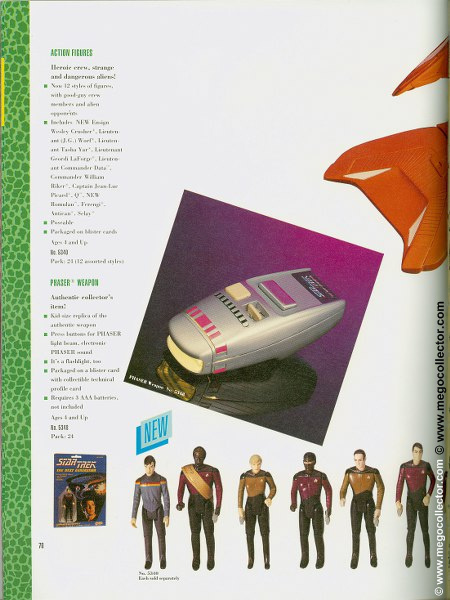 By 1989, the Star Trek: Next Generation toy line was significantly reduced in size, however adding two new characters, Wesley Crusher and the Romulan. 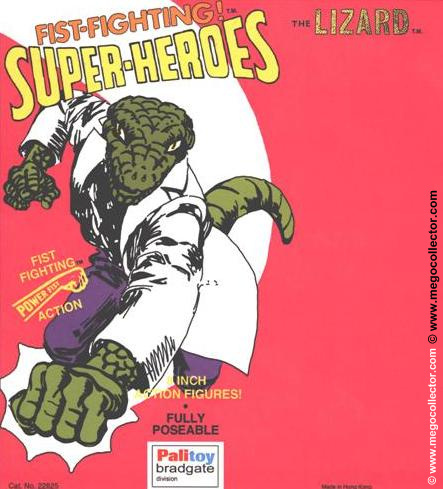 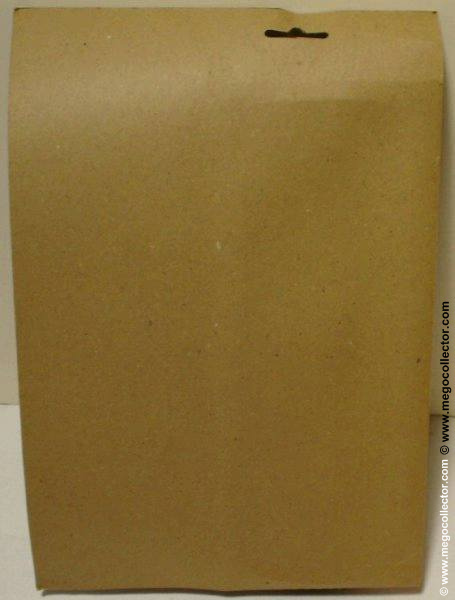 While the two figures were never produced, there are rare carded examples that exist.